On 1 January 2019, Jitka Kudrnová and Jan Lamač became new partners of the consulting firm TPA. Before assuming their new positions, both worked for the company as senior managers. Jitka Kudrnová specialises in bookkeeping and financial reporting; Jan Lamač is an expert on property taxation and due diligence. Jitka Kudrnová (54) has been part of TPA since 2008. She is responsible for bookkeeping and providing tax advice to companies in the property, development and energy sectors. Her clients are mainly international corporations. In her new position, she will be in charge of the accounting and tax teams and the accounting methodology. 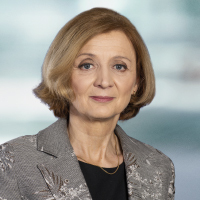 Jitka Kudrnová is a graduate of the University of Economics in Prague and a member of the Chamber of Tax Advisors. She speaks English and devotes her leisure time to sports – basketball, skiing and cycling. Jan Lamač (42) has been with TPA since 2001. Jan mainly specialises in tax consulting, with a particular focus on the taxation of property, due diligence, transactional consultancy and international tax planning. As a TPA partner, he will be in charge of property consulting. 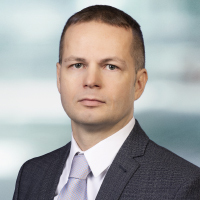 Jan Lamač is a graduate of the University of Economics in Prague and the Wirtschaftsuniversität in Vienna; he is a member of the Chamber of Tax Advisors. He speaks English and in his free time listens to music or rides his bicycle.